Just Begin….well, we totally did! Wow you guys, I am so totally blown away by your responses to my last post that it kind of knocked the wind out of me. Hence my blog silence….I quite frankly couldn’t keep up. I didn’t even blog about December, Christmas, the New Year etc etc etc. I can assure you we were just busy enjoying it, and it was one of the most memorable ones we have had to date. See…. I think this week has been the first time I have been able to come up for air, and I was so ready to get back here and do an update. Let’s start with you guys! How have YOU been? Did you set some new goals for the New Year? Have you been tackling them? I hope you’re taking whatever is driving you right this very moment and are letting it set the tone for 2015. Most of all…did you JUST BEGIN? Im not talking outrageous, lofty, intricately thought out expectations for changes you want to see for yourself…I mean, did you just start? Baby steps! I already know the answer for so many of you…because you started right along with me. Holy group 24 Day Challenge Batman!!!! I honestly have no words. You guys…last year this tiny group of 20 us came together for a little support and found our meeting place to be most convenient in a Facebook group. Exactly one year later, there are over 1500 of us in that same group. 1500 amazing, genuine, supportive, motivated, courageous and enthusiastic individuals all in the same place, at the same time, looking for the same thing. It’s an incredible thing to be a part of. If you are one of them…thank you. Really, THANK YOU. Thank you for being nonjudgmental, for creating a safe environment, and for opening your hearts up to complete strangers and turning each of them into your friend. We are in full swing!! Some started their challenges January 1st, others are still waiting to jump in, and the rest of us started somewhere in between. I am on Day 5, and wow did I need I need this cleanse. I already know the holidays are long gone from my system and really feel like a million bucks. 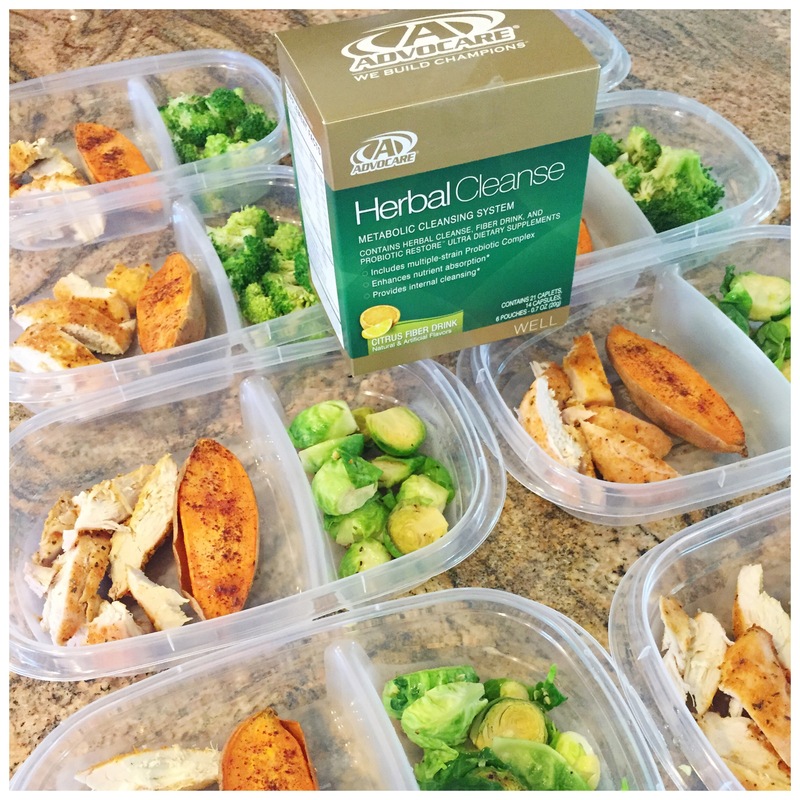 I will probably do a day 11 update as well as a day 25 update but I would also love to get back into sharing some meal plans and tips with you all too. I know this is wishful thinking since I have been averaging one blog post a month, but hey…just like I said above, it’s all about starting! So this past week I did something a little different that I am for sure going to continue on with. Sundays are going to be meal prep day in our house! I have always done meal planning on Sundays, but prepping is a different story. 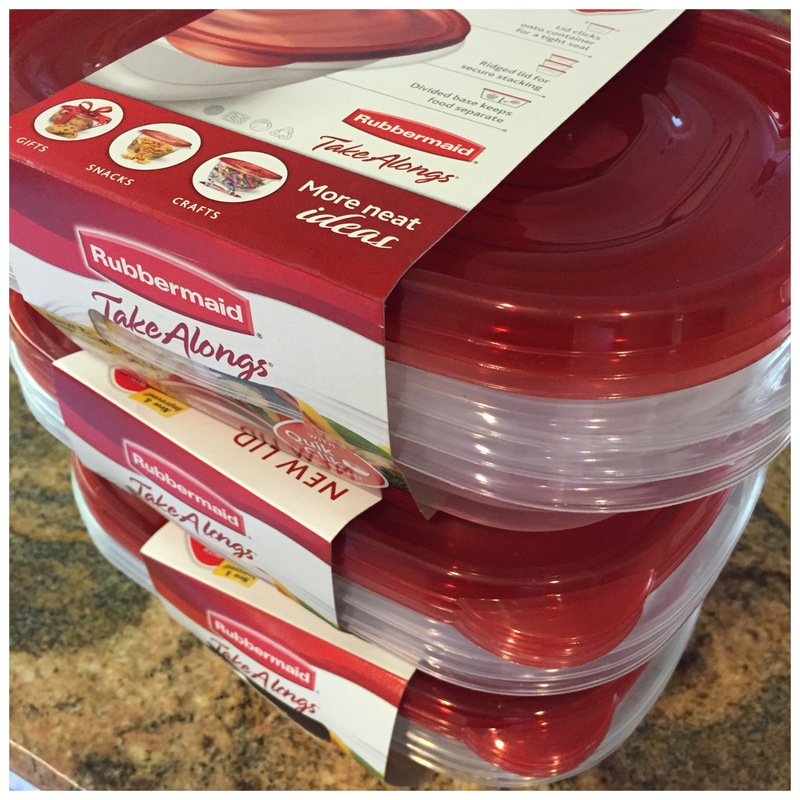 I got THESE tupperware containers off Amazon, and they are the perfect size for correct portions and are also divided. I just saw THESE on Amazon too and they look perfect as well (actually kind of wish I saw them first). Lunches are what I struggle with most. If I don’t have leftovers from the night before then basically my lunch consists of a bunch of random snacks. Id love to be able to assemble a big salad with chicken at home, but my kids….well, do I even need to say more? So having something already made and easy to grab has been a lifesaver this week and has totally kept me on track. I ended up making seasoned chicken breast, roasted sweet potato with cinnamon, broccoli and brussels sprouts. I actually got asked by several people how I prep my chicken so I wanted to quickly touch base on that. 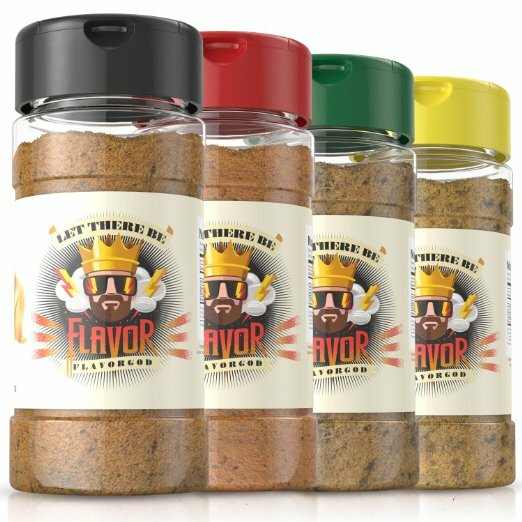 First of all if you don’t have Flavor God seasoning then…GET SOME! I bought bulk frozen chicken breasts at Costco. Thawed out the portion I wanted for the week. Sprayed a cookie sheet with EVOO spray and placed the chicken breasts on top and sprayed them as well. Then I generously seasoned with Flavor God seasoning. This go around I used the lemon garlic, and it is SO good. Baked the chicken at 350 for like 25-30 minutes (or until chicken was done to my liking…Im a dry chicken kind of girl haha). Then I waited for it to cool, sliced them all and divided into equal portions. I was asked how I reheat without making the chicken dry/chewy and my secret is….I don’t reheat it. I actually spoon some fresh pico de gallo on top and eat it cold and it’s so much better that way. My lunches totally hit the spot this week and I can’t wait to prep again on Sunday! Breakfast and dinner don’t usually cause me any headaches. In fact, being on a challenge causes me less headaches because I am actually prepared for the week ahead and don’t have to stress over what Im making. Plan Plan Plan! 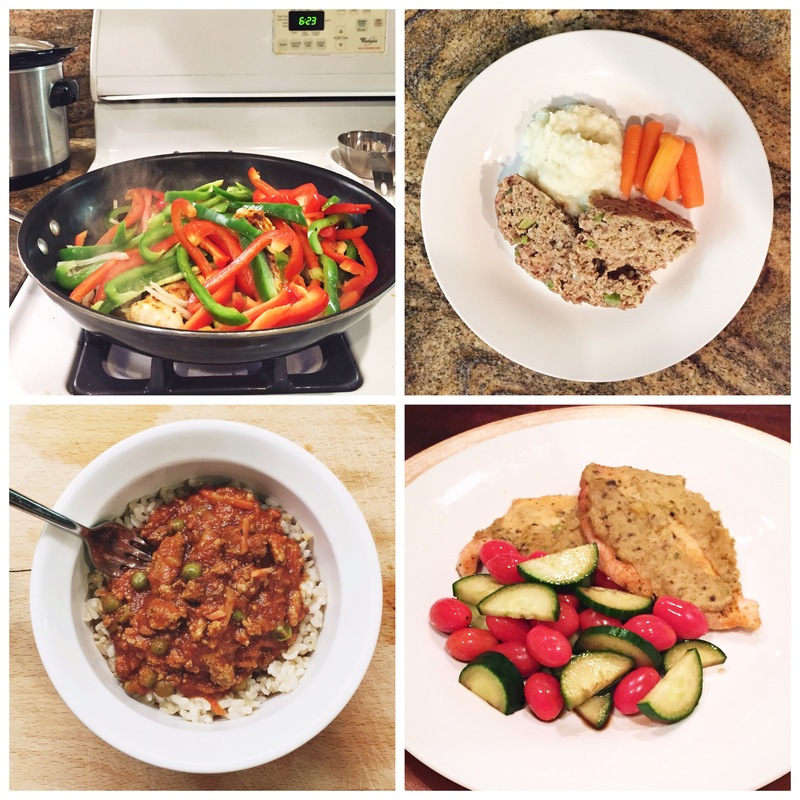 Want to take a look at what was on this week’s dinner menu in our house? It blows my mind when people say they are afraid to do a challenge because they don’t think they can eat this way. Eat what way? Healthy, delicious, hearty, home cooked and with large portions? This is NOT your typical cleanse. This is not a diet. This is an educational process that teaches you a sustainable lifestyle! Greg says I cook way better now than I did before AdvoCare…I don’t want to know what he used to think of my cooking, but I will move forward and take this as a compliment. From left to right we had…. 2. Turkey meatloaf with cauliflower mash and steamed carrots. Definitely put at least one, if not all, of these on next week’s menu if you haven’t already started planning! Im excited to share what we have coming up next week! All in all, I am feeling fantastic. 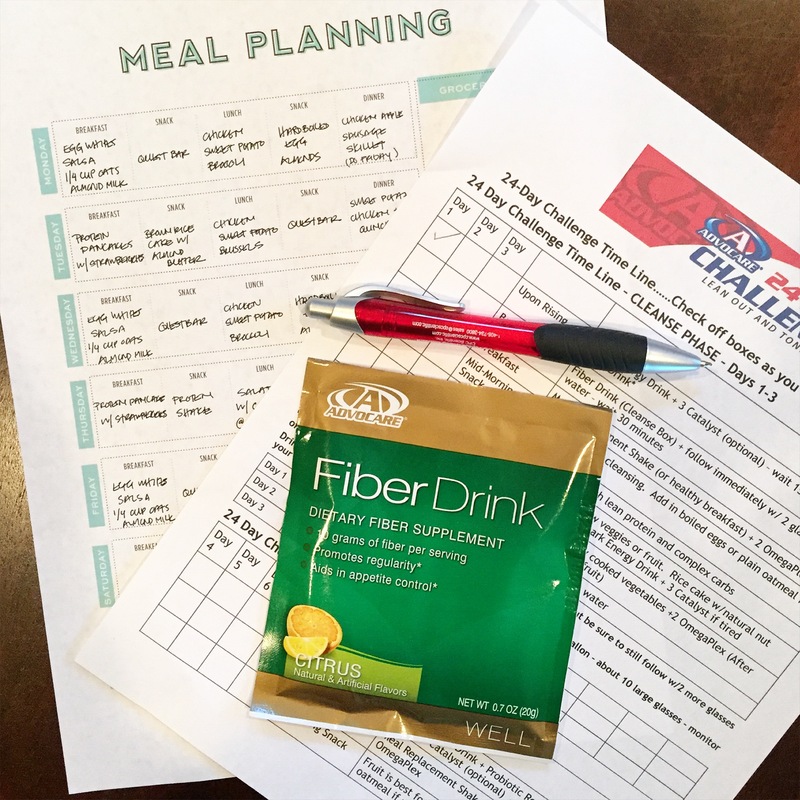 My goal in this challenge was to reset from the holidays, rid myself of some of my holiday “fluff”, up my energy levels, get back to planning and trying new recipes, and of course to support all of our new challengers! It is certainly not too late to join us so please reach out to either myself or someone on my team and we would love to have you on board. Thanks as always for reading my friends and have a happy and healthy weekend! I found at trader joes in the cold section next to the hummas a great staple its called ” Just Chicken ” or they have Just turkey. Its cooked plain and ready to eat. All ready chopped in long strips great for salads or lettus wraps etc. Nothing added. I find I feel more satisfied when I can add a little heat to my meals. So add pico wrap in lettus and chow down. So fast! Coconut / Curry Turkey Chili on the menu asap. But more importantly, where did the meal planning sheets come from? I need those stat! You don’t happen to have a downloadable version of your meal planning worksheet do you? There you go Happy meal planning! Thank you! This is my 2nd challenge, and I am so excited to start! I love all ideas for dinner. I struggle with keeping things exciting. You are welcome!! I will do my best to keep the ideas coming!! I am on instagram at @laurenrenefitness and have been posting my daily eats throughout the challenge so hopefully it helps keep things exciting for you! First, I love your blog. Very inspiring! I was wondering how you prepared your mashed cauliflower? I LOVE it, but have used sour cream and cream cheese in the past. I’m currently on my first 24 day challenge and would like help!! You got it….steam the cauliflower, throw into vitamix, add some almond milk and a little dash of sea salt. Talk about easy right? And so so yummy! Perfect! Thanks so much! I am loving advocare so far! Where did you get that meal planning print out? Looks like a great way to plan ahead! 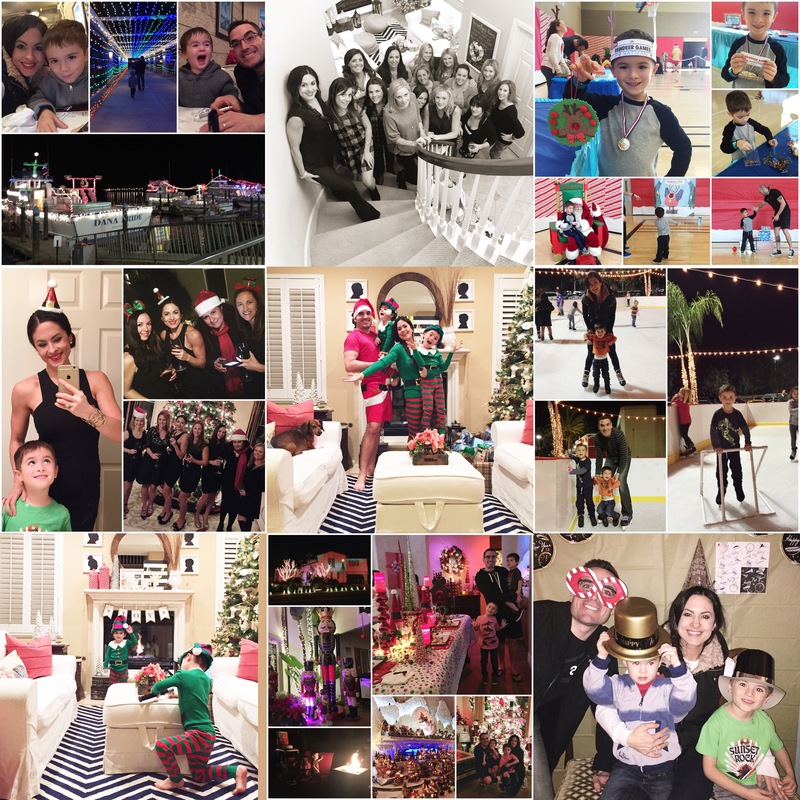 Love your blog and your instagram! You are so honest and share awesome recipes!! Do you mind sharing what you have for snacks during the day? These are some great ideas. I just finished with my challenge and felt like my proportions weren’t right. Hi! 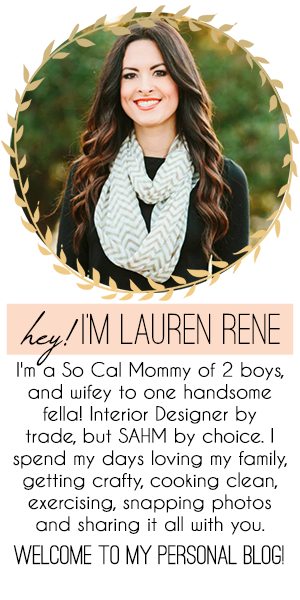 I am loving your website! I am literally about to order the 24 day challenge and am so excited to start! No sure if this information I am about to ask will be included in my bundle, but how to you know how big of a portion or how many ounces to eat of each food? Thank you for the ideas! My biggest pain is dinner. I can’t find turkey chili recipe on ur blog. Would love to have it. I’m like u and started 24 day challenge Monday. On day 5. Doing fine just really need a glass of red wine. Yay! Glad to see my meal planning sheets coming in handy!! chicken fajitas are my favorite!! I also add some black beans to mine! I love using the chipotle seasoning from mrs dash to season my fajitas!